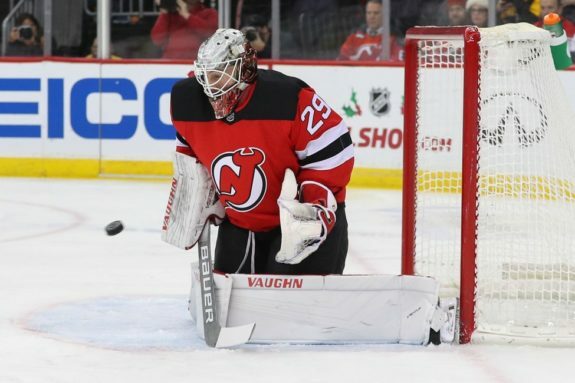 NEWARK, N.J. — Rookie Mackenzie Blackwood returned to the lineup after missing three games with an injury and made 32 saves in leading the New Jersey Devils to a 3-2 victory over the Philadelphia Flyers on Saturday. Severson gave the Devils the lead at 6:32 of the first period. The defenceman took a pass from Drew Stafford and one-timed a shot from low in the left circle over Hart’s shoulder for his sixth goal. Hischier beat Hart on a breakaway 5:08 into the second period after stealing a pass by Flyers defenceman Travis Sandheim. It was his 13th goal of the season and came 15 seconds after he left the penalty box.